Tickets to see Nick Offerman Dec. 1 at the Chicago Theater await the winners of a contest sponsored by the Rebuilding Exchange. Offerman, best known for his portrayal of Ron Swanson in the popular sit-com Parks & Recreation, is coming to Chicago as part of his Full Bush stand-up comedy tour. HIs passion for the stage and screen is reviled by his love of woodworking. A native of southern Illinois, he operates Offerman Woodshop in Los Angeles. His newest book, “Good Clean Fun: Misadventures in Sawdust at Offerman Woodshop,” includes several solid references to using local urban woods. In the documentary film, “Felled.” Offerman weighs in on urban wood utilization. The Rebuilding Exchange, a non-profit social enterprise dedicated to creating a market for reclaimed building materials. presents three ways to win one of three sets of tickets for Offerman’s Dec. 1 show. 1. For every $10 donated to Rebuilding Exchange, the donor receives a chance to win tickets..
2. Each registrant for a Rebuilding Exchange workshop reserved through Oct. 31 gets you a chance to win. 3. The free way to win is to follow the Rebuilding Exchange on Facebook “then tag the friend you’d like to take with you if you won and like this post.” By following the Rebuilding Exchange on Instagram, entrants can receive a second free entry. The entry deadline is Oct. 31, 2017. Winners will be announced on Nov. 1. 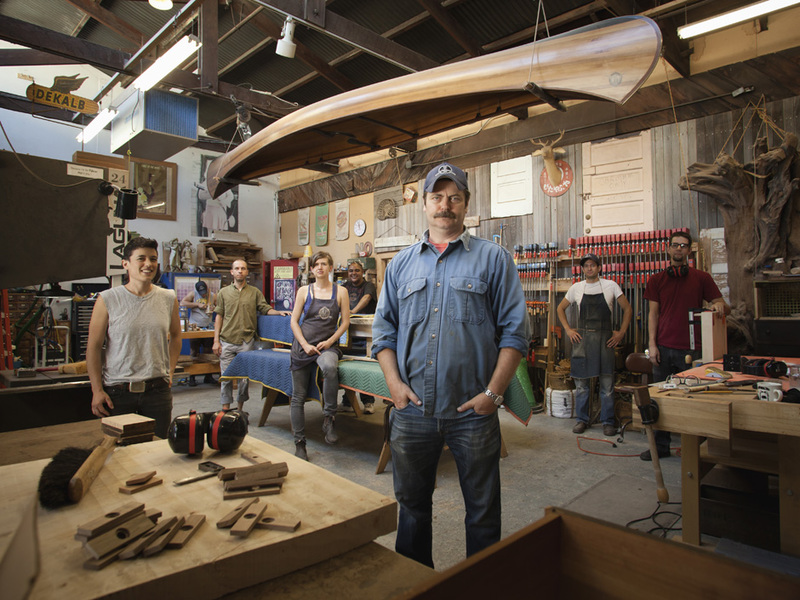 Learn more about the Rebuilding Exchange and the Nick Offerman tickets contest..